Pamper yourself at our comfortable and affordably priced B&B accommodation. 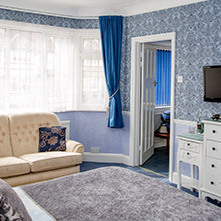 You will find our bed & breakfast in New Southgate, the Borough of Enfield, North London. The B&B overlooks a beautiful large park complete with tennis courts and a rushing brook. We have off street parking at the front of the guesthouse for your convenience. We will provide you with a cooked breakfast, or vegetarian if you prefer, with unlimited tea, coffee and serve-yourself-toast. Our dining room opens onto the terrace and our breath taking garden where breakfast may be served on a warm day. In cooler weather you can enjoy the cosy fireplace in the dining room. 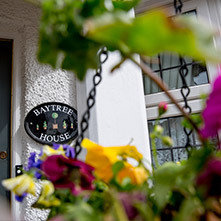 Bay Tree House B&B has complimentary Wi-Fi access throughout the building. 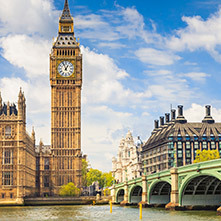 We are within easy reach of central London.